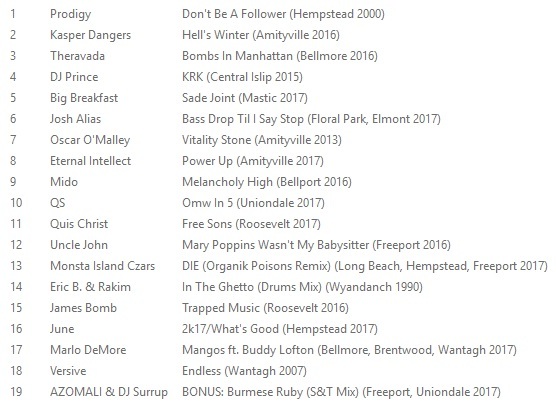 Here we have "A[N] INDUSTRIAL MEGAMIX OF PUBLIC ENEMY HITS, INSTRUMENTALS, BASS DUBS, JAMZ, B SIDES & UNRELEASED JOINTS," courtesy of ShutEmDown.com, one of the rare fan sites that's as enduring as it is endearing. 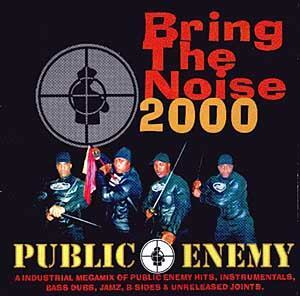 Supposedly, PE's initial attempts to make this mix available online in 2000 were blocked by PolyGram. They must have given up since, as it's now easily accessed. After you stream the amazing posse cut "There Were More Hype Believers Than Ever In 97" below and download the 27-track Bring The Noise 2000 mix here, we highly recommend you head over to ShutEmDown.com and check out the myriad other PE rarities that site hosts, many more of which will hopefully find their way over here in future posts.